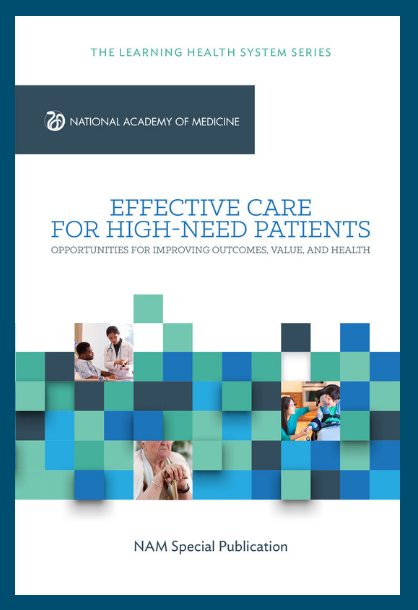 Sponsored by the Peterson Center on Healthcare, this webinar series is an extension of the landmark NAM Special Publication, Effective Care for High-Need Patients: Opportunities for Improving Outcomes, Value, and Health. This webinar featured Health Quality Partners, a Pennsylvania-based not-for-profit research and development organization, and their advanced preventative care model targeting elderly complex patients. The discussion centered around their efforts to refine and tailor their model to incorporate coordinated care, health education, and self-management of care, as well as challenges and successes in the spread and scale of the model. Jonathan Harvey, MD, is the Chief Medical Officer of Martin’s Point Healthcare. 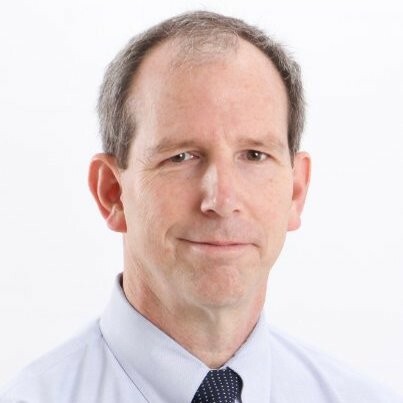 Dr. Harvey graduated from Harvard College and Dartmouth Medical School, and completed his residency in Family Medicine at Maine Medical Center. He has been a practicing physician in Gorham, Maine, for 15 years. Dr. Harvey has held many leadership positions, including serving on the Maine Medical Center Physician Hospital Organization Board of Directors. A member of the Martin’s Point Health Care Senior Leadership Team since 2010, Jonathan is a passionate voice for revolutionizing health care and a gifted physician sought out for his ability to deliver exceptional care. Ken Coburn, MD, DrPH, FACP, is the President, CEO, and Medical Director of Health Quality Partners, a nonprofit health care quality research and development organization based in Doylestown, Pennsylvania, USA, dedicated to improving health outcomes through health care delivery redesign. The team at HQP has designed, tested, and continues to innovate a system of Advanced Preventive Care for vulnerable populations. Originally developed for chronically ill, older adults, the system, which includes an IT platform designed to support it (SPERO®), can be adapted for use with other higher-risk populations. The model has been deployed in a variety of settings with robust evaluations demonstrating significant positive impacts on health outcomes and cost. Prior to co-founding HQP in 2001, Dr. Coburn; led care and disease management services for an 11-hospital consortium in eastern Pennsylvania (PennCARE), was Associate Medical Director in the disease management division for an academic health system (University of Pennsylvania Health System), served as Medical Director for Quality at a Health Maintenance Organization owned by academic medical centers in Philadelphia (Health Partners Plan), and was Director of the AIDS Center at the Montefiore Medical Center in Bronx, NY, a New York State Designated AIDS Center. Dr. Coburn received his undergraduate education at Brown University, his medical degree from the Columbia University College of Physicians & Surgeons, and completed his residency training in internal medicine at the Columbia-Presbyterian Medical Center in NY. Improving care for high-need patients is not only possible–it also contributes to a more sustainable health system. But progress will take a coordinated effort from policy makers, payers, providers, and researchers, as well as patients and their loved ones. Click here to download the Special Publication and view related resources. The webinar series is intended to provide insight on the components of successful models of care for specific groups of high-need patients by featuring programs across the country that have seen success in their efforts to improve care and outcomes for this important group. The webinar series is intended to help glean useful lessons learned and considerations for spreading and scaling successful programs. The series will provide a clear and actionable impetus for health system leaders, front-line clinicians, researchers, policymakers, patient and family caregivers, among others, to actively work to improve care for high-need patients in their local communities.